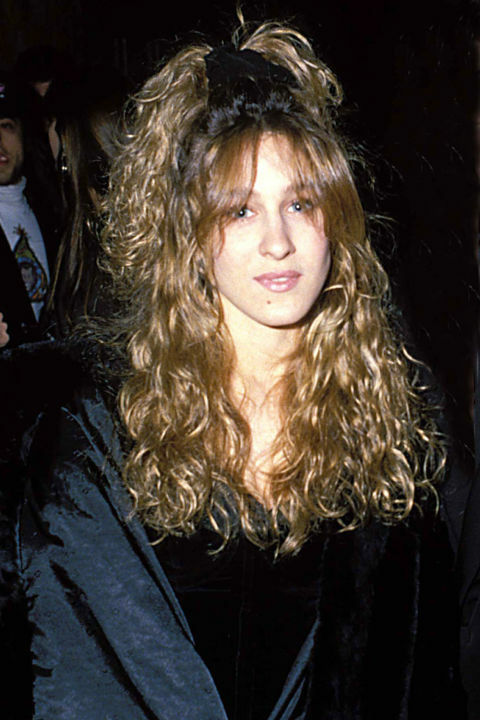 At first, the stunning Carrie Bradshaw claimed that no New York woman would be caught dead with a scrunchie in her hair. But, even this fashion icon was seen sporting the scrunchie and her hair in a half bun. If she can do it, anyone can, right? This is a style that is actually coming back into the fashion spotlight can be seen by models from Chanel and Giorgio Armani. This fashion trend was given a lot of heat because of the method being used, but with conditioning your hair to protect it you can still maintain healthy hair. Buffy the Vampire Slayer might have been able to slay twisting her hair and spiking it in a million direction, but is this look for everyone? Also, seems to be very time consuming to make sure you have hair going in all directions. Bright bright bright colors were the thing back in the 90’s. This kind of hair trend was commonly seen by Christina Agulera and Gwen Steffani. You could either go the route of putting a bright streak of color in your hair or just go bright and bold by coloring everything. We are seeing a return of bright colors today, but with a little more styling due to Balayage. Something like the 50’s, but not really there because it’s the 90’s but they sure are trying to bring a new twist to a classic bob cut. The bob has been around for multiple generations and certainly does like to come back every once in a while with a slight change. Did this one past the test of time?